London Cleaning House offers a range of gardening services in London and Greater London such as tree pruning, hedge trimming and shaping, lawn care , weeding, planting etc. We also offer free quotes over the phone and flexible viewing times in the London area, no matter how large or small the job is. Possible viewings are arranged at a convenient time – early in the morning, during office hours, in the evenings or even at the weekends. We ensure that all our staff is well trained, dedicated and hard working. As each case is individual, we recommend to have a look first of the tree and then we will advise you of the most appropriate action. Many gardens contain hedges which owners or tenants are not able to maintain due to their overgrown size. We have all the necessary equipment and skills to carry out such work. It can be also just shaping the hedges and other shrubs, lopping tree branches and growth control. Services include mowing, feeding and fertilizing, moss and weed control, turf levelling-flattening, returfing and over seeding. It includes removing unwanted plants from patios, paving joints and any other surfaces, pressing with mulch, soil or wood chips, covering with weed stopping fabric and other weed elimination solutions. Garden waste removing is not part of the gardener’s job; however we can collect small amounts of garden waste / up to couple of bags /, to be collected at a basic extra fee. For bigger loads we can organise a truck to come and collect the extra waste left. 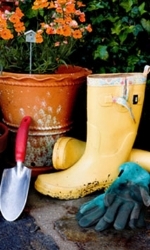 Other gardening services we offers are planting, Garden Tidy Ups, Garden maintenance, Tree surgery, Grass cutting, Leaf clearing, Fencing and turfing.